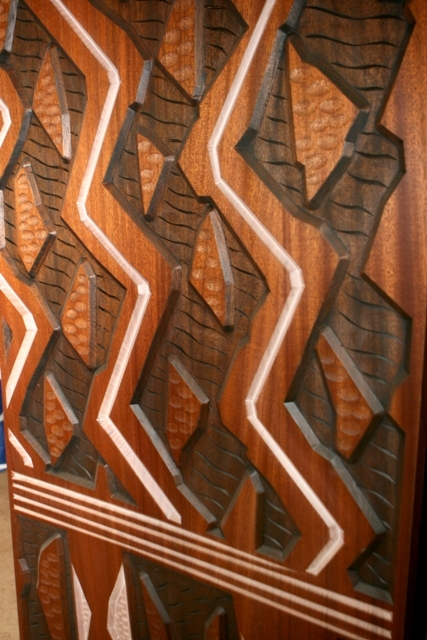 Seven foot tall custom carved door panels. Designing inspired by Polynesian tattoo. Coffee table from the same inspiration. 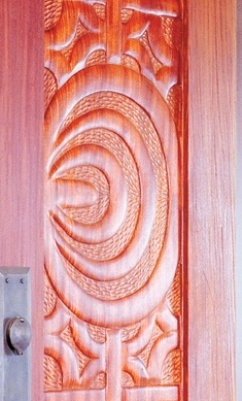 Lau Lolu Palm inspired carving. 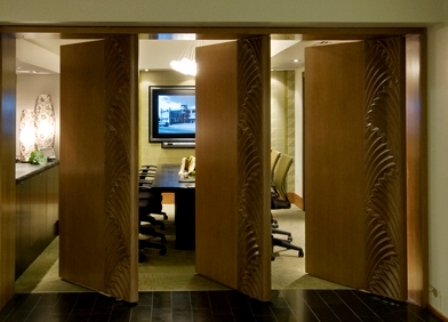 Finished conference room Doors with carved panels. 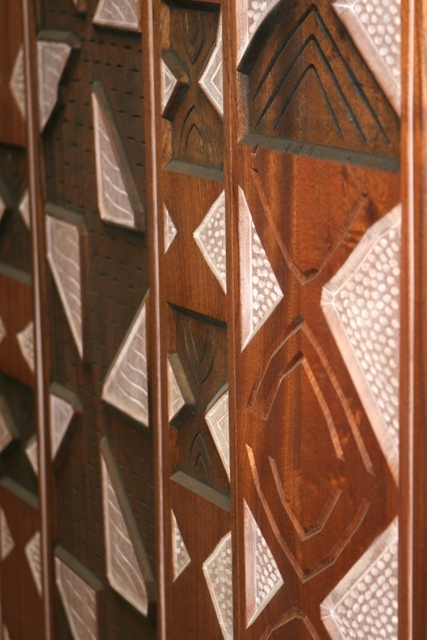 Kapa inspired panels with color added. Sea scape carving inspired by Don Blanding 36 x 36 inches. Two panels set same theme 42 x 42 inches. Close up of the same panel. Monstara and Hala 36 x 60 inches. Giant bird of paradise 52 x 72 inches. Heliconia on Monstara 14 x 24 inches. Torch Ginger carved on a 14-inch plate. 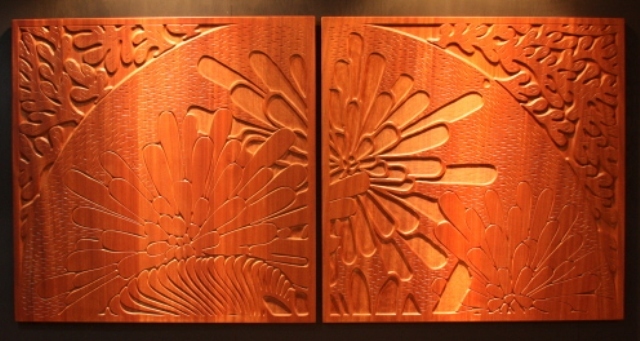 Carved panels inspired by Polynesian Kii. 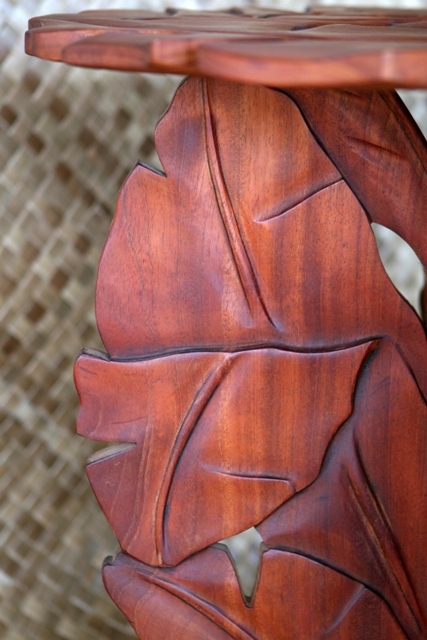 24 inch side table Heliconia carving. 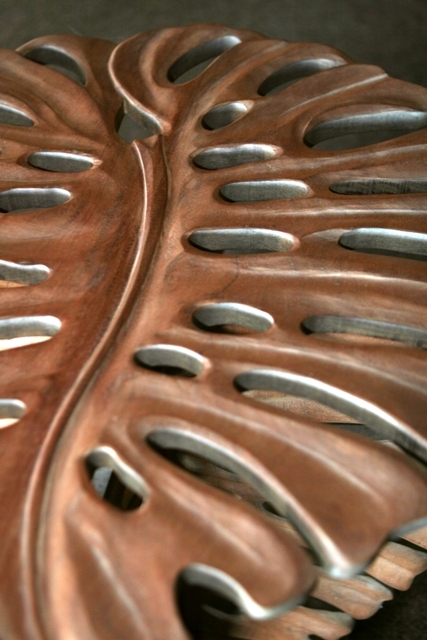 Close up 24 inch side table Heliconia carving. 24 inch side table with Monstara carving. 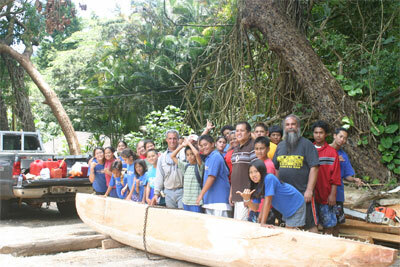 Working with a log found in Kalihi Valley and with help form the Hawaiian immersion charter school Halau Lokahi, McD is creating a canoe named after Ku the god of the forrest and canoe builders and husband of Lea. 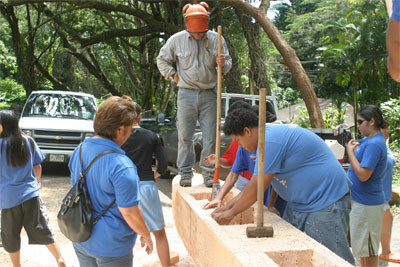 This project is also part of a culturally based environmental resource education program. This is a place based learning program where children help rough out the canoe and learn about preserving natural resources. 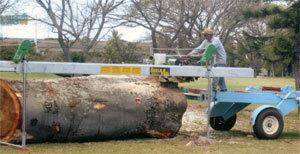 This is an Albezia log (sparing rare native koa). 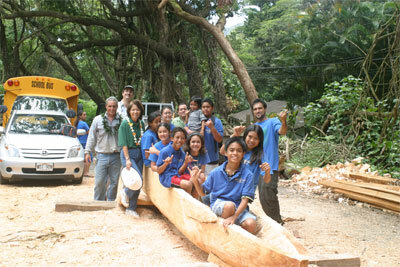 When finished the canoe will continue to educate children in a marine environment. The log and the stump in the background. Hand tools and power tools help with the progress. 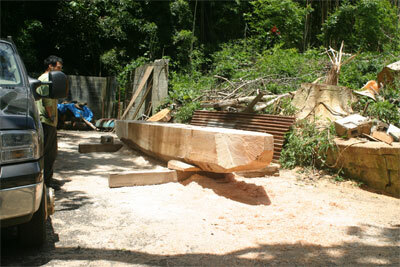 The canoe is taking shape. The children are proud of their efforts. 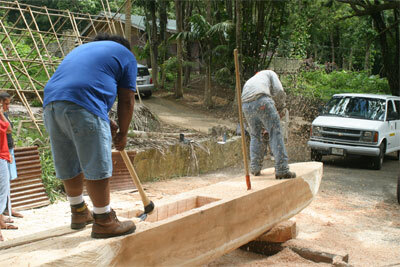 The finished canoe will be used in the ocean. 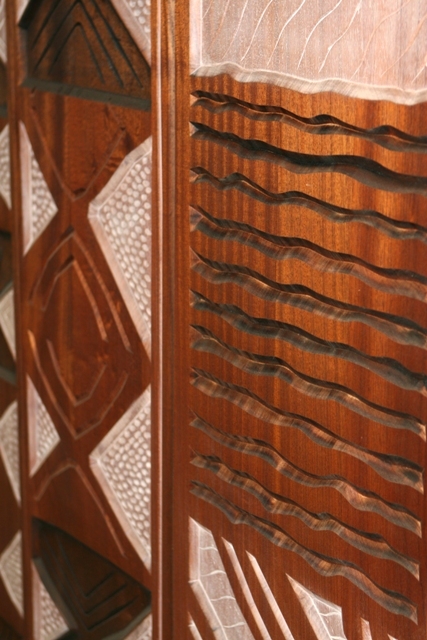 Over the past 25 years, McD Philpotts, an accomplished wood worker and artist, has refined his turning, carving and veneering skills to produce original pieces of furniture and other wood products that evoke the spirit of 19th century island masters. 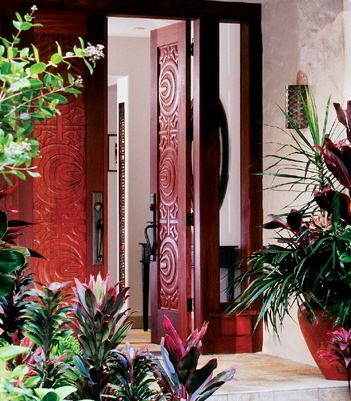 His Hawaiian-Scottish ancestry has also inspired designs of turned and polished traditional bowls made of native Hawaiian woods. 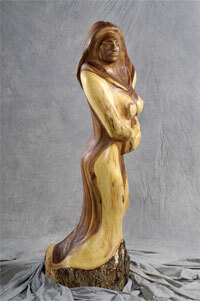 His powerful sculpture of Lea, the goddess of canoe builders and navigators, and recently completed 20-foot opelu canoe named "Makalea" both show this strong influence. 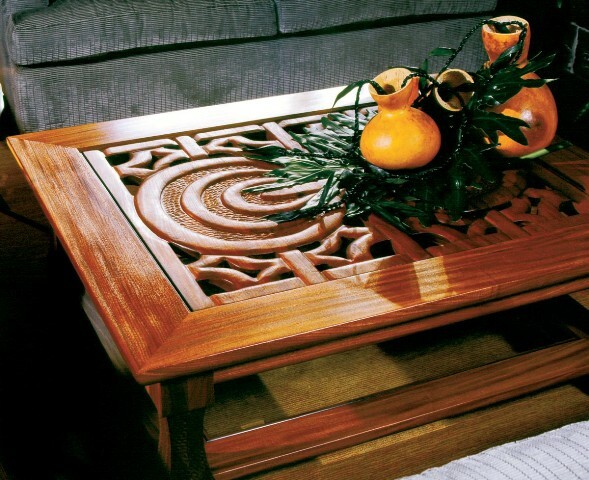 When he first began woodworking, he used indigenous koa and other island woods almost exclusively – much of it salvaged where ever he could find it. 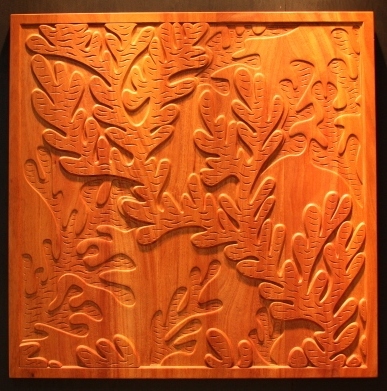 But after entering the annual Wood Show in 1997 sponsored by Hawaii Forest Industry Association, he was encouraged by the organization's mission statement which urged artists and craftsmen to use other exotic tropical woods and thereby lessen the impact on native species. His shop/studio is a forest in the Waianae Mountains is filled with vintage woodworking machinery that he has rescued and often restored through the years. The facility includes lumber storage, a solar lumber kiln and saw mills. Established over 20 years ago, Mountain Wood Farm currently produces lumber and other wood products through the salvaging of urban timber. 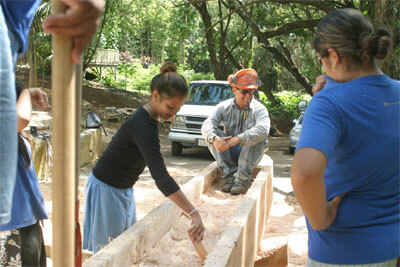 Philpotts is currently developing the resources that lie in green waste in order to benefit other Hawaiian artists with materials and training. "Because we live on an island we have a responsibility to preserve its beauty and natural resources for future generations and to teach our children these values," says Philpotts. 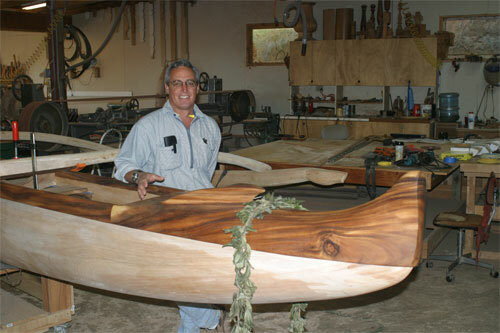 "I am a lucky man with good health, a wonderful family and I live in the forest, play in the ocean and work with wood."